Maine Republican Sen. Susan Collins isn't so certain that President Trump will be her party's nominee in the next presidential election. Asked in a Monday interview with MSNBC whether he'd be the GOP nominee in 2020, she responded, "It's too difficult to say." Collins also pointed out that she had not supported his candidacy in 2016 either, choosing instead to write in House Speaker Paul Ryan's name, which she said was "very hard for me to do as a lifelong Republican." Not supporting the nominee was a "very difficult position for me to take," said Collins. Is President Trump's response to Charlottesville a turning point? Mr. Trump has already filed Federal Election Commission paperwork for his reelection campaign, although he has not officially announced his candidacy. He has, however, already raised millions for his 2020 campaign. But 2020 is still years away -- "It's far too hard to tell now. There is a long ways between now and that point," Collins said. 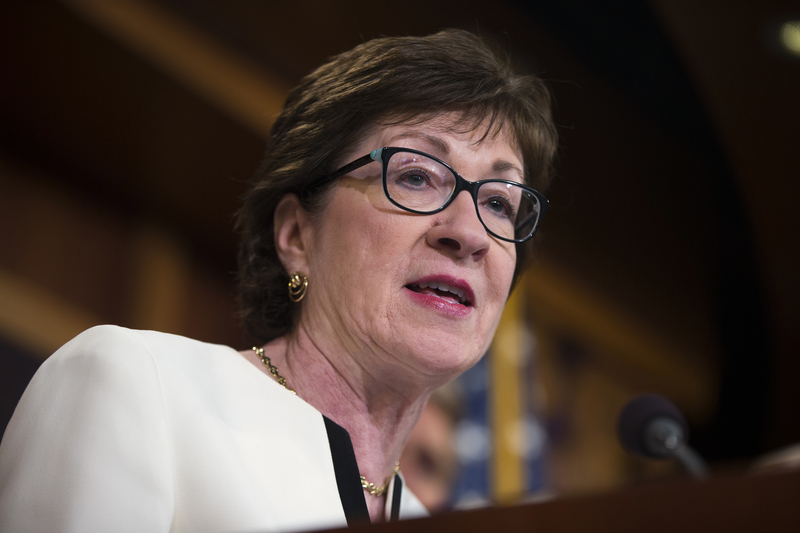 Collins is one of the few Republicans in the Senate who has consistently opposed the president, voting against the GOP Senate attempt to repeal and replace the Affordable Care Act. She also said she was disappointed in Mr. Trump's response to the racially motivated violence in Charlottesville, Virginia last week. "The president had an obligation -- a moral obligation to speak with absolute clarity from the very beginning and stick with that, not shift back and forth -- to denouce the neo-Nazis, the white supremacists, the anti-semitism that we heard," Collins said. She criticized him because he "wavered back and forth." "In this case, I think the president failed to meet the standard that we would have expected a president to do in a time like that," Collins also told MSNBC. On Tuesday, President Trump is scheduled to appear at a campaign-style rally in Phoenix. It's one of several he has held since his inauguration.